Lt.-Gen. Michael Flynn (ret.) has been offered the position of national security adviser by President-elect Donald Trump, CBS News’ Major Garrett confirmed Thursday. Flynn, a lifelong Democrat, is a former head of the Defense Intelligence Agency (DIA) -- he was one of the highest-ranking national security officials supporting Trump, whom he also informally advised him on foreign policy during the primary campaign. He is also known to be a proponent of stronger ties with Russia, as well as a critic of President Obama. Trump had at one point reportedly considered Flynn for vice president before choosing Mike Pence. The Associated Press first reported that Flynn had been offered the post. U.S. Rep. Adam Schiff, the top Democrat on the House Intelligence committee, issued a statement saying he is “deeply concerned” about Flynn’s views on Russia, and questioned Flynn’s “uncritical acceptance” of the Turkish crackdown on dissent. Schiff also criticized Flynn’s “inflammatory remarks” about Muslims. 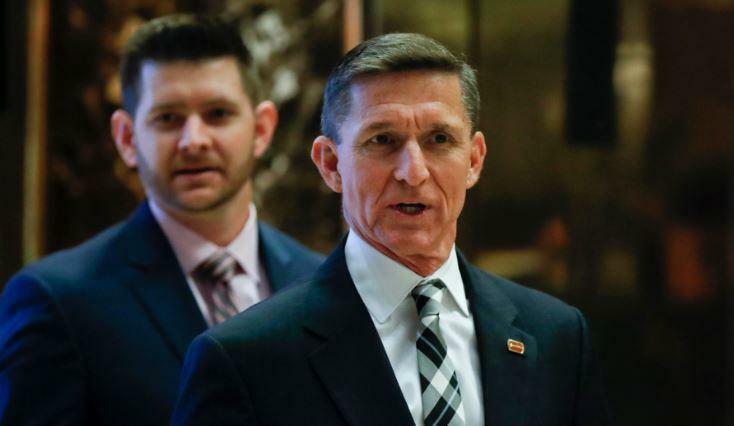 Flynn, who turns 58 in December, built a reputation in the Army as an astute intelligence professional and a straight talker. He retired in 2014 and has been a fierce critic of President Barack Obama’s White House and Pentagon, taking issue with the administration’s approach to global affairs and fighting ISIS. In February, Flynn had a controversial tweet about Muslims. In the tweet, he said fear of Muslims is rational. Mr. Trump is a foreign policy novice and his early moves on national security are being closely watched by U.S allies and adversaries alike. He’s said to be considering a range of officials with varying degrees of experience to lead the State Department and Pentagon. Mr. Trump also consulted with former Secretary of State Henry Kissinger and sat down with South Carolina Gov. Nikki Haley, a potential contender to lead the State Department. In Washington, Vice President-elect Mike Pence huddled with Republican leaders in Congress. He then met with House Minority Leader Nancy Pelosi and Sen. Chuck Schumer, the newly elected leader of the Senate Democrats, seeking to convey respect as Democrats prepare for Republican rule of both chambers and the White House for the first time in a decade. “We look forward to finding ways that we can find common ground and move the country forward,” Pence said outside Schumer’s Senate office. The two began mending fences after Mr. Trump’s victory when Romney called with congratulations. They are to meet this weekend, a transition official said, speaking on condition of anonymity because he wasn’t authorized to discuss Mr. Trump’s schedule publicly. Campaign manager Kellyanne Conway said they were still “working on” the meeting. Mr. Trump’s actions Thursday aimed to show leaders both in the U.S. and overseas that he could soften his rhetoric, offer pragmatism in the White House and reaffirm longstanding American alliances. Since his stunning victory over Hillary Clinton last week, Mr. Trump has spoken with Russian President Vladimir Putin, British Prime Minister Theresa May and nearly three dozen other world leaders by telephone. Ron Dermer, Israel’s ambassador to the United States, also visited the skyscraper and called Mr. Trump “a true friend of Israel.” He specifically cited as another “friend” Trump campaign CEO Steve Bannon, whose selection as a top White House adviser has created a backlash among Democrats. Bannon’s news website has peddled conspiracy theories, white nationalism and anti-Semitism. “We look forward to working with the Trump administration, with all the members of the Trump administration, including Steve Bannon, in making the U.S.-Israel alliance stronger than ever,” Dermer said. Mr. Trump, a reality television star, business mogul and political newcomer, also rolled out new teams that will interact with the State Department, Pentagon, Justice Department and other national security agencies. The move is part of the government transition before Mr. Trump’s Jan. 20 inauguration. Coordination had been on hold until Mr. Trump’s team submitted documents including a list of transition team members who will coordinate with specific federal agencies, plus certification that they meet a code of conduct barring conflicts of interest. White House spokeswoman Brandi Hoffine said the minimum paperwork was finished Thursday, meaning agencies could start providing briefings and written materials to Mr. Trump’s team. Indeed, the departments of State, Defense and Justice say meetings are being set up. Will Trump appoint son-in-law to White House post? One potential Cabinet member, Eva Moskowitz, said had taken herself out of the running to become education secretary. Moskowitz, a Democrat and advocate for charter schools, met with Mr. Trump this week, stoking speculation that she might inject a bit of bipartisanship in the new administration.